April 4, 2019 Robert W.
Construction wood signs in Vegas are increasing in popularity for contractors who want to have a large sign on the property they are building in order to promote their business. After all, why not all the people who travel by every single day know what construction company is building on the property and get almost free advertisement for your company. Construction wood signs are cheap and will be seen by thousands of people who will come to know your name. Construction wood signs will usually be the company name and logo on the sign or a building site drawing map to reflect what the property will look like when it has been completed. The signs are usually 4ft x 4ft or 4ft x 8ft. However, sometimes a construction company will place several 4 x 8″s next to each other to simulate a very large sign in order to impress. The signs are generally located near the street so as to maximize viewing of the sign by people passing by. Construction wood signs are cheap in price when you compare how many times the sign will be viewed over its lifetime. The cost of a 1/2″ thick wood full color sign is around one hundred twenty five dollars and around two hundred dollars for a 4ft x 8ft wood full color sign. These signs can be any color and have pictures and artist drawings printed on them as well. The signs are laminated to help protect them and last a long time. Construction wood signs can be made locally in Las Vegas to save money and time. Many companies offer wood signs on the internet, but by the time you ship them, they end up being very costly. 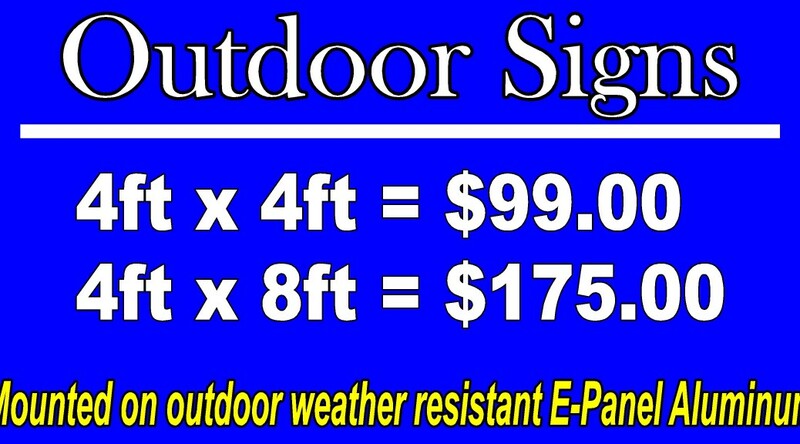 Take advantage of this low cost opportunity to promote your company and project with a new wood sign. Previous PostService Truck Signs and Graphics For AdvertisingNext PostWindow Vinyl lettering For Cheap Advertisment.